Some holiday enthusiasts like the chill and thrill of snowy lands. 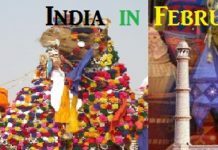 The winter months are also a fantastic time to discover a completely new side of some of India’s popular travel destinations. Here is a list of places in India where you can visit these winter holiday season. Even though the trees have a bare look and the beauty of the hued gardens no longer catches the eye, there is an altogether different charm in the surroundings. Places you can visit are Srinagar, Gulmarg, Leh Ladakh, Patnitop, Pahalgam, Enjoy the tranquil Dal Lake, Kashmir valley, Nubra Valley, Mughal gardens. 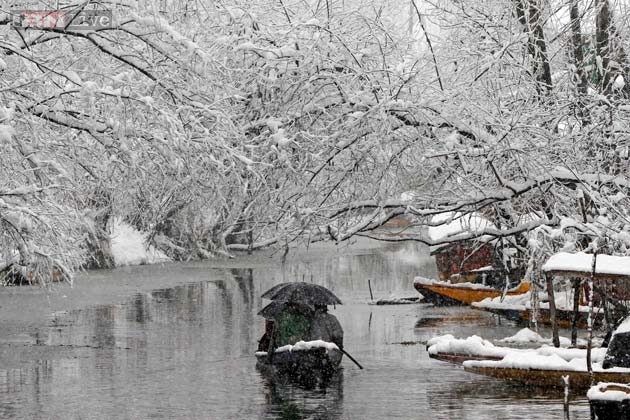 The lakes which offer a plethora of beauty during the summers become a skating ground for the people visiting Kashmir in the month of December and January. Gulmarg, the “Meadow of Flowers”, is incredibly amazing during winters here you can see The Snow Festival of Gulmarg. Srinagar is also referred to as the “Land of Lakes and Gardens“, You’ll find Asia’s largest tulip garden in Srinagar. The moon-scaped Ladakh is probably one of the best places in India to witness snowfall. Himachal Pradesh is very appealing and its captivating natural beauty looks just like heaven. Places to visit in Himachal Pradesh are Shimla, Kufri, Kullu & Manali, Dharamshala, Dalhousie. 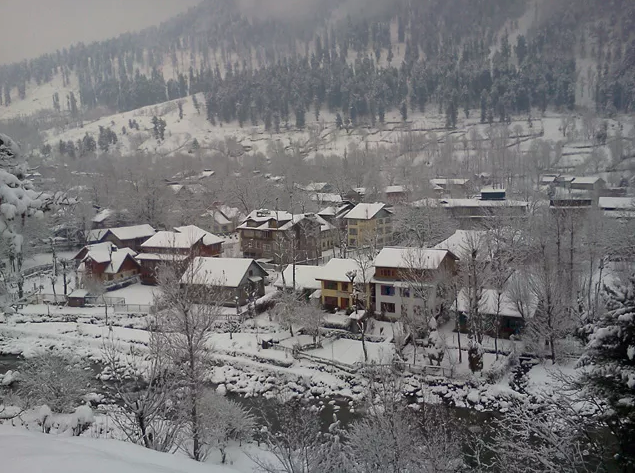 The capital city of Himachal Pradesh, Shimla is one of the hottest destinations for honeymooners in the winter season, it is bounded by famous Kullu and Mandi along with Kinnaur and Sirmaur. 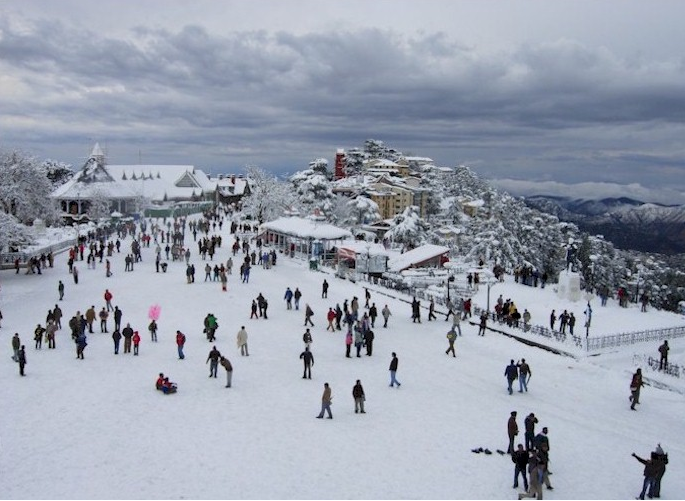 Shimla is one of the planned hill city in India and offers winter sports like Skating and Skiing. Uttarakhand, which was earlier a part of Uttar Pradesh, is famous for its scenic beauty and pilgrim centers. 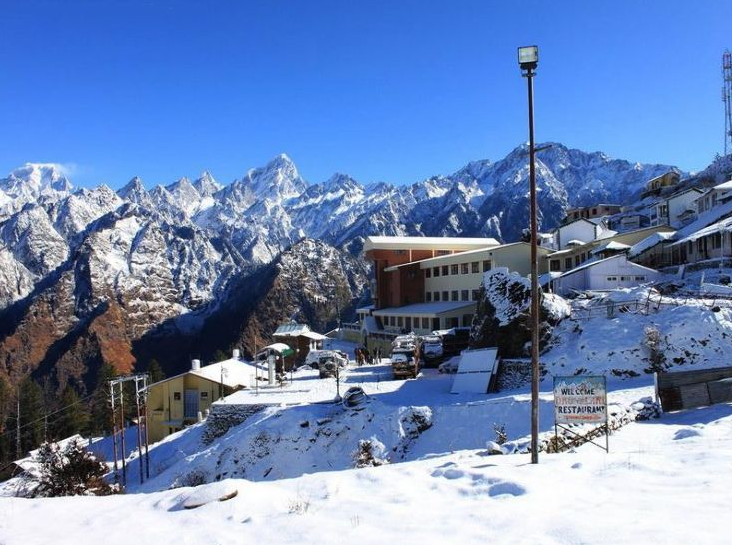 During winters you can visit Auli, Mussoorie, Nainital, Kedarnath, Badrinath, Munsiyari, Dhanaulti. The best time to visit Nainital is December to January when Nanda Devi Peak looks stunning in a white cover and you can feel the chill in the breeze while following snow-covered trekking routes. If you like to give your skiing skills a test or are a freaking skiing beginner then Auli is an ultimate stopover. Munsiyari is a new discovery for tourists in Uttarakhand. With the name that means ‘place with snow’, it is full of mountains, glaciers, trekking routes and awe-inspiring natural beauty. A drive of 24 km from Mussoorie will take you to Dhanaulti, another picturesque hill station of Uttarakhand.